And as you may also know, this author not only writes books, but composes music for them, plays the music, makes the book trailers (including the cut-paper art) and no doubt she also dances backwards in high heels. 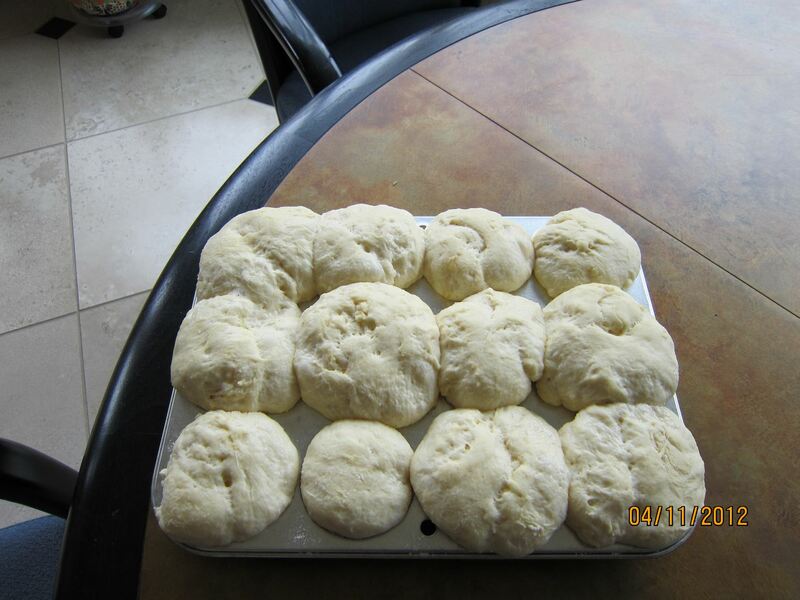 Recently, she invented a recipe to go with The Scorpio Races, and posted it on her blog, here. But since, in my house, we do have Purell bottles every five feet or so, I thought it would be safe to try to bake these, and so I did. Maggie’s instructions were great, but I still had to make adjustments. (For some reason, I can’t copy and paste the recipe, so if you open the window with the recipe, here, you could follow along with my changes.) For example, I didn’t have regular milk, but I had buttermilk, since I had just made scones for breakfast (see my recipe, here). And I never have been disappointed when I substitute buttermilk for milk. I also didn’t want to buy whipping cream for just two tablespoons, so I just used melted Breyer’s vanilla ice cream. (In our house, Breyer’s vanilla is a staple, like salt. We always have it.) As far as I know without a comparison, it worked fine. Lastly, after applying glaze to half the buns, I tossed a bit of rum into the glaze for the second half. Just a dash, you know, to show that the products of Maggie Stiefvater’s intellect aren’t just for young adults…. 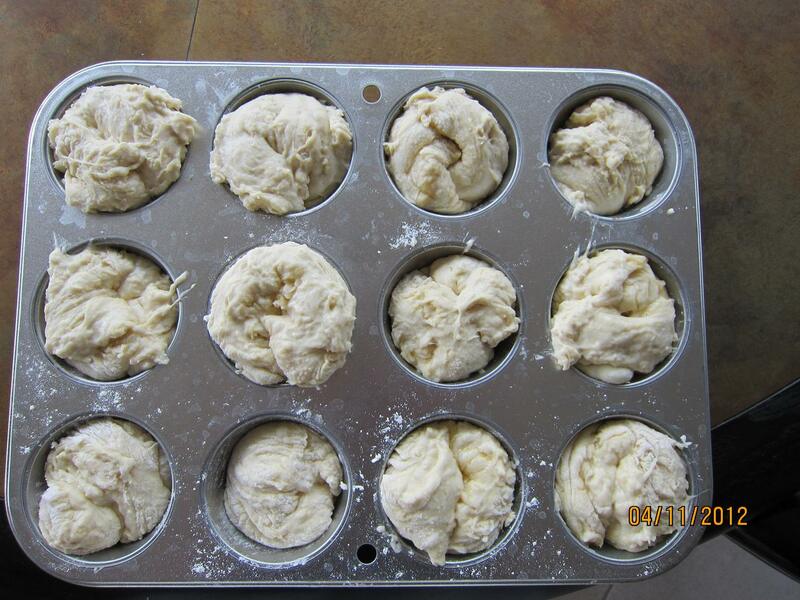 As for other changes, my oven is fast, and the buns were quite done after only ten minutes. And they were huge! In fact, when I took the dough out of the oven after the first rising, the dough was STILL MOVING – PULSATING even!, and I feared A SMALL BABY ALIEN was going to pop out of it any minute! But after I waited in fascination for a while, no alien emerged, so I transferred the dough to greased muffin tins, and left them for a second rising. When I dumped out the buns to put on glaze and icing, instead of turning them over, I left them upside down, because that would maximize the area of glaze/icing absorption. And no one cares that they are upside down when they’re busy swooning over the taste! Finished November Cakes, soaking in goo applied to a maximal surface area by being upside-down. Oh gosh, is there one missing already in this picture? And make some November Cakes! It’s worth the effort! (have Purell around for after….) For future reference, by the way, I plan to try adding 1/4 cup of orange juice to the filling, to make it a bit more orangey. This entry was posted in food, Sunday Salon and tagged food, Sunday Salon. Bookmark the permalink. Oh yum! The November Cakes look amazing. Haven’t read the book yet, but have heard so many good things about it. Maggie is super woman! Okay. I’m in. I love Maggie’s writing. Next baking adventure are going to be these. Yes. Really. Some time in May. 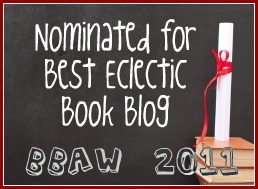 Are you the president of the Maggie Stiefvater fan club this year? Just kidding! Those November rolls look wonderful! I did these about a month or so ago and they were AMAZING! I also weekend cooking’d them (great minds!). You I used the zest of the orange to impart a little more orangyness and dug it. OMG. OMG. You have no idea how bad I want to eat one of these. Just one! I don’t want to make a whole pan because then I’d eat them all. Because I just ate a Lean Cuisine lunch and I’m feeling very deprived right now. I need chocolate. Oh, and BTW, I just ordered this book on audio. I want some! They look so good!! 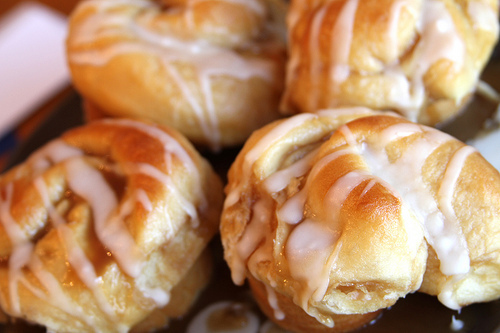 The buns look like they would go great with a cup of coffee. OMG…there’s glaze AND icing???? I haven’t even read the book and I’m in love with the author. Obviously, she’s a genius. You are sooooo funny! I love your substitutions — just shows your creativity! Looks delicious! You are a baking goddess!! those look great and I love how you changed it up and made it work! Your cakes look just as good as the author’s! I haven’t read the Scorpio Races yet but this post now makes me want to read the book sooner than later. OK … I’ll have try these!! I’m all about a huge ratio of goo applied all over what look to be like little mini cinnamon buns. Even the part about the pulsating baby alien didn’t turn me off! Those look amazing. 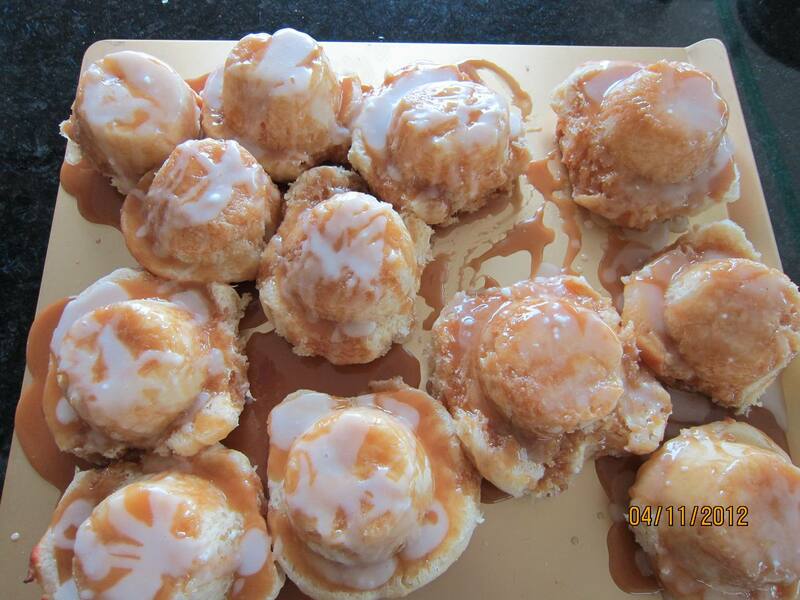 And I remember being hungry while reading about the November cakes in the book, so clearly I need to make these. Drooling now. This book was also one of my favorites of 2011! It made my ‘best of’ list, too. Also: I laughed out loud when I read your comment about the baby aliens! Too funny. Really: great post. Thanks! I am soooo hungry right now! One day when my mom is here I’ll have to make the time for these. Man, now I need one of these buns! I would do mine with whipped cream instead of ice cream, only because making whipped cream in our house is a family event, with everyone oohing and ahhing over the cream as it becomes stiffer and fluffier. I also like that you added rum to the glaze. That sounds wonderful. So glad that the book inspired you to make these buns. They look and sound amazing! Those rolls look amazing. My gluten-free self is drooling. Ha – I wonder where the missing one went 😉 They look delicious – well done! I never would have thought to substitute ice cream for whipping cream – very resourceful! Those cakes look delicious. 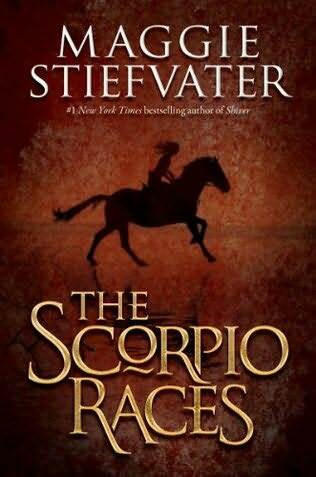 I keep hearing great things about The Scorpio Races – I need to read it soon.